Customers search social media sites as frequently as they search Google, if not more. If you don’t have a presence on Facebook or Twitter, you can be sure that your potential customers will be visiting your competition. The key to a great social media page is in your content. Your page should be updated daily, your content should be both fun and informative, and you should use your sense of humor frequently. No one wants to read a dry, boring page. Get creative and use social media to your advantage. There’s nothing wrong with the old tried-and-true business card model. Instead of creating your own using your printer, look at a site like Vista Print. This site, and many others, can print you hundreds of business cards that look professional without costing hundreds of dollars. 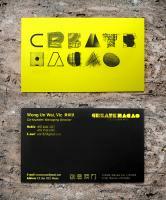 If you’re going to spend money on business cards, make sure that you’re handing them out. Include them in mailers, leave a business card with every tip, and hang them in appropriate businesses. Did you know that you can create a website for free? Having a website or blog is a great way to attract new customers. Before you spend time creating your site, research the benefits of SEO. When you write your articles in a certain way, your page will show up on the first one or two pages of search engines. Remember that you can always have a professionally created website up and running after you’ve made a profit and can afford to do so. Word of mouth is the oldest, cheapest way of attracting new customers that there is. If you please one customer, you can be sure that you’ll gain another. When you sell an item or provide a service, give your current customer a business card with their name on the back. Ask them to pass it along to a friend or family member and, when that next person purchases an item or service from your business, give your original customer a discount. Were you aware that you could pay a company to mass-produce DVDs for you? These are inexpensive ways to market your business, particularly if you attend trade shows, fairs and local festivals. Instead of handing everyone that visits your table several sheets of paper, hand out a DVD that contains all of the information about your company, the products or services that you offer, your hours of operation and even a bit about yourself and your employees. You don’t have to spend thousands of dollars to market your business properly or effectively. With a hundred dollars or so, and a creative streak, you can market your business in such a way that you can both gain new customers and maintain your current client base. Marie Chan blogs for tech sites. If you are thinking of using DVDs for your job, you may be interested in using a Bay Area media authoring group.